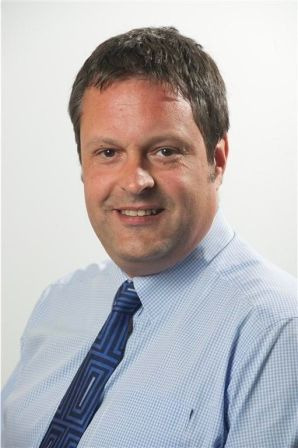 CKD Galbraith is delighted to announce the appointment of Guy Warren as Head of Forestry to handle the firm's growing woodland portfolio and oversee all aspects of forestry including woodland sales, acquisitions, creation and management. Guy Warren is based in the Edinburgh office and is responsible for CKD Galbraith's team of forest managers who operate across the country. With extensive experience in forestry investment, acquisitions and valuations, Guy will focus on building the firm's existing client base which includes estates, land owners and public and private sector organisations. Prior to joining CKD Galbraith, Guy worked for UPM Tilhill for nearly a decade. He successfully held a variety of positions before taking up his final role with the company as Forestry Investment & Business Development Manager. Guy is also a Forestry Commission Advisory Committee member for the Yorkshire and the Humber region and is a member of the Institute of Chartered Foresters Council. Guy said: "I'm delighted to be joining CKD Galbraith as Head of Forestry. Scotland's forests and woodlands are second to none and working with the firm's experienced forestry team presents a fantastic opportunity to be involved in their brokerage and management." James Galbraith, of CKD Galbraith added: "Guy Warren is a highly experienced forester with excellent knowledge and ideas for the forestry sector and I am delighted that such an experienced professional will further strengthen our dedicated forestry division at a time which sees our team busy with several large scale woodland creation projects and implementing long term forest plans for a number of our estate clients." To date Guy has had a very successful career in the forestry sector, highlights have included; handling the sale of England's largest privately owned forest which concluded earlier this year and being invited to present to the Independent Panel on Forestry on new forms of finance for forestry in England. Guy will be taking a leading role in building CKD Galbraith's investment and acquisitions advice services, overseeing the development of the firm's forestry assurance management systems and building on our success in the forestry sales sector.